The man has been living alone for 22 years, according to a government agency. 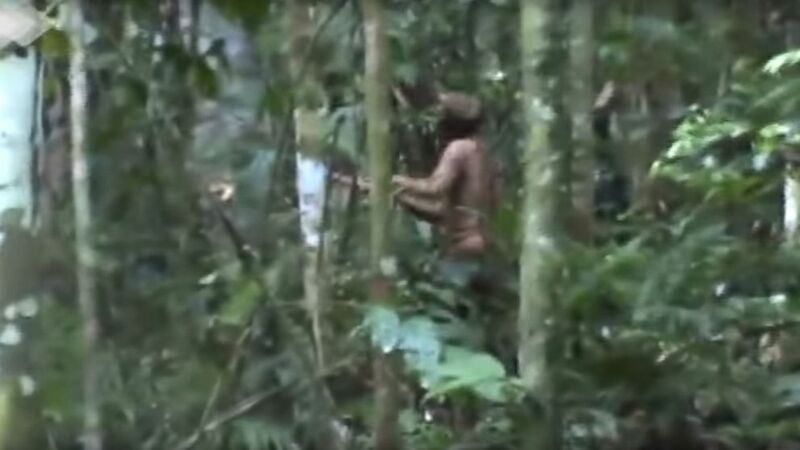 Rare video released from a government agency in Brazil shows footage of a lone survivor of an Amazonian tribe who has been living alone for 22 years. The Guaporé Ethno-Environmental Protection Front has been monitoring the man and, without ever speaking to him, has been helping to ensure that he is protected from all external threats, according to Fundação Nacional do Índio, or FUNAI, a Brazilian government agency that protects the interests and culture of natives to the country. The video, taken from afar, shows a shaky image of the man hacking at a tree with an ax in Tanaru, an indigenous territory surrounded by private farms and deforested clearings in the Brazilian state of Rondonia. (FUNAI) The lone survivor of an Amazonian tribe has been living alone for 22 years. The man appears to be nearly naked in photos released by the agency. He appears to wear a mustache in a close-up frame of his face, a third of which is hidden behind some leaves. Another images shows a hut where the tribe apparently lived, with a thatched roof made with local vegetation. 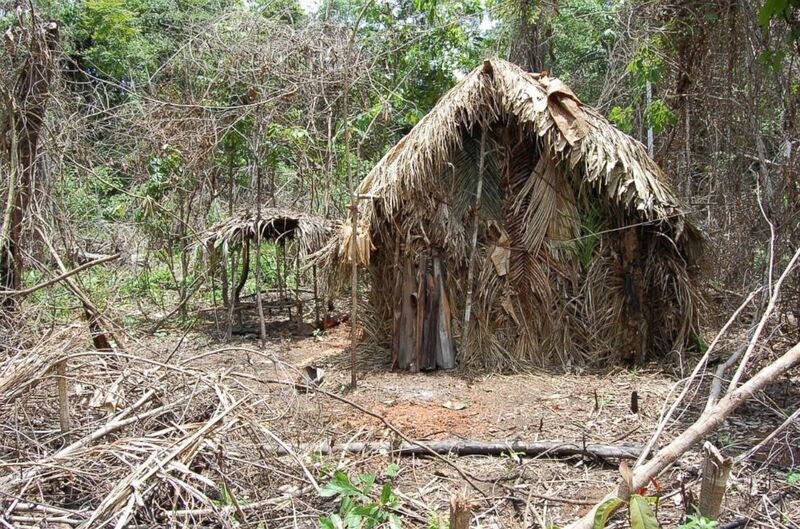 (Acervo/Funai) A straw house known as "maloca," which was built by the lone survivor of an Amazonian tribe, according to FUNAI, a Brazilian government agency that protects the interests of natives. In the 1980s, the establishment of farms and illegal logging in Rondonia led to repeated attacks on the indigenous people living there, according to FUNAI. The man in the video is thought to be the only survivor after farmers attacked a group of six in 1995, FUNAI said. The agency has been monitoring the man since 1996, but attempts to contact him -- the last of which was made in 2005 -- were not successful, the agency said. He has made it clear that he does not want to be contacted, the BBC reported, adding that the agency has a policy of avoiding contact with isolated groups. 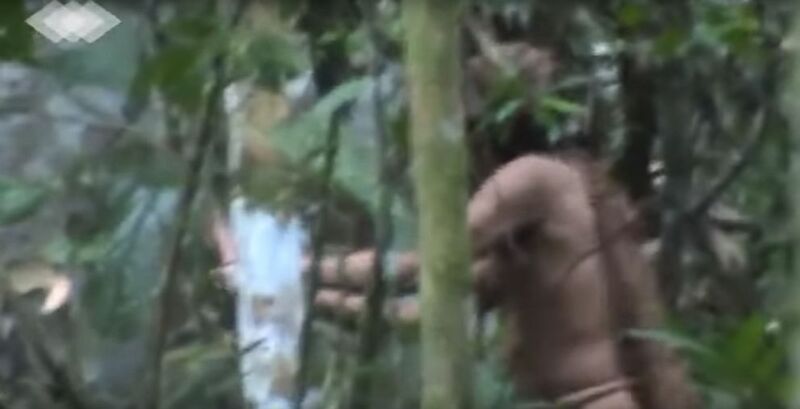 (FUNAI) Images show the lone survivor of an Amazonian tribe, according to FUNAI, a Brazilian government agency that protects the interests of natives. A Brazilian law allows protection actions to be carried out on land outside the boundaries of indigenous lands when isolated indigenous peoples roam them, FUNAI said. The people who assist him leave only a few tools and seeds for him to plant in places he passes often, FUNAI said. The video was shot to prove that he is alive in order to renew the restriction order, according to the BBC. In 2012, FUNAI registered crops of maize, potatoes, bananas and papayas planted by indigenous people, who live off the food and animals they hunt. The man is in his 50s but not much else is known about him, the BBC reported. In Brazil, he has been dubbed "the hole Indian" or the "Indian of the hole" because he usually leaves behind large holes or ditches, possibly to trap animals. The man's existence proves that, even when alone in the middle of the Amazon, it's possible to survive and resist allying with society, according to FUNAI.